Are you sick of your eyes making you look tired or sad? The eyes are often the first thing people notice when they meet you. They are among the most defining areas of the face. Even William Shakespeare wrote, “The eyes are the window to your soul.” Unfortunately, the area around your eyes often demonstrates some of the earliest signs of facial aging. The skin of the upper and lower eyelids is literally among the thinnest in the human body, which makes it particularly susceptible to stretching, wrinkling, drooping, and puffiness. This can make you look old and tired. In severe cases, drooping eyelids can physically interfere with your vision and make it difficult or dangerous to perform simple tasks or even drive a car. If you are bothered by any of these problems, you may be a candidate for eyelid surgery (also known as a blepharoplasty or eyelid lift) with Munster, IN board certified Plastic Surgeon Doctor Jason Petrungaro. 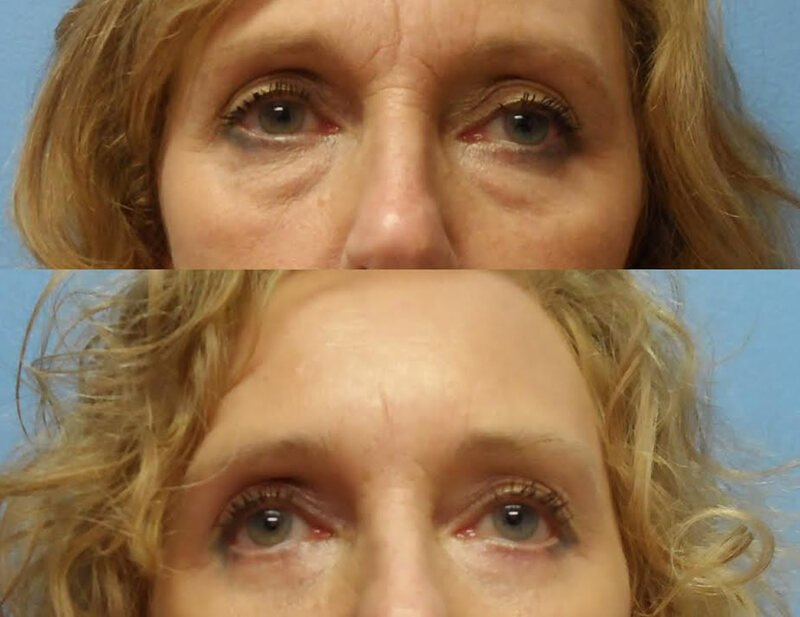 Considering eyelid surgery in NW Indiana and Chicago? Eyelid surgery is among the top 5 cosmetic surgical procedures in 2017, with nearly 210,000 performed according to the American Society of Plastic Surgeons. Both men and women elect to have this procedure done. It is a very safe procedure that can reverse years of aging from your face, giving you a fresh, rejuvenated look. Your eyes will look brighter and you will find that your friends and family comment on how well-rested you appear. What is a Eyelid Surgery? Eyelid surgery, or blepharoplasty, is a surgical procedure to improve the appearance of the eyelids. It can be performed on the upper lids, the lower lids, or both. Whether you want to improve your appearance or are experiencing functional problems with your eyelids, eyelid surgery can rejuvenate the area surrounding your eyes. Most people are good candidates for eyelids surgery; however, some patients with chronic eye disorders such as dry eyes or thyroid disease affecting the eyes may not be good candidates. Munster eyelid surgeon Doctor Jason Petrungaro will perform a detailed history and physical examination prior to your surgery to determine the best treatment plan for you. It is important to realize that the eyelids are part of the face, and the appearance of droopy upper eyelids may also be due to downward migration of the brow/forehead skin. Sometimes a drooping eyelid is caused by stretching of one of the upper eyelid muscles. In both of these cases, procedures other than a blepharoplasty may be needed to correct the problem. Eyelid surgery (blepharoplasty) can be performed on your upper eyelids, lower eyelids, or both. Based on a preoperative evaluation of factors such as your underlying facial muscle structure, bone structure, and the symmetry of your eyebrows, Doctor Petrungaro will decide how much skin, muscle, and/or fat to remove. Prior to the procedure, Doctor Petrungaro will make precise markings on your eyelids with a skin marker to indicate where excess tissues will be removed in your upper eyelids and in your lower eyelids. In your upper eyelid, Doctor Petrungaro will make an incision hidden within the natural fold of the upper eyelid. In the lower eyelid, the incision will be hidden just below the lower lashes. Alternatively, when excess fat is being removed, the incision can be placed inside the lower eyelid (transconjunctival incision). Doctor Petrungaro will remove excess tissue of the upper and lower eyelids using surgical instruments. Sometimes fat may be removed in the upper and lower lids to eliminate puffiness or bags under the eyes. The incisions will be closed with a very fine stitch that will remain in place for about 5 days, at which time it will be removed in clinic. Are you a Chicago resident seeking eyelid surgery? Recovery from eyelid surgery is very straightforward. Pain is very well controlled using oral prescription pain medications. You will see Doctor Petrungaro in the clinic 1-2 days after your surgery and then every 1-2 weeks after that to make sure that you are doing well and that your wounds are healing nicely. It is very common to experience some swelling, bruising, irritation, or dry eyes during the immediate postoperative period. These can be controlled with medication, cold compresses, and ointment. It is also very common for the lower lids to appear “pulled down” for the first week or so. This is because of the tight closure of the lower lid incision. Doctor Petrungaro and his staff will teach you some massage exercises for the lower lids that will reverse the problem. Full recovery from eyelid surgery varies with each patient depending on what areas are treated. You will benefit from taking a week off work to recover, especially since you will likely be dealing with some bruising around the eyes. All strenuous activity should be avoided for at least 4-6 weeks to allow good wound healing. The results of a blepahroplasty are visible immediately, and your results will continue to improve over the next few months after surgery as your swelling resolves and the incisions fade. Your genes, skin quality, and skincare routine are important factors in the longevity of your eyelid lift. A healthy lifestyle along with careful sun protection will help extend the results of your eyelid lift. It is important to remember that age and gravity can and will take its toll on your eyelid skin in the years following your surgery, but expect to enjoy your new look for many years. Why choose eyelid surgeon Doctor Jason Petrungaro? 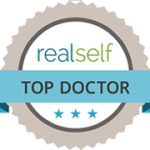 Doctor Petrungaro is a board certified Plastic Surgeon who has successfully completed many years of surgical training in all aspects of facial rejuvenation surgery. He is well versed in the established traditional methods as well as the latest and most innovative techniques in eyelid surgery. He listens to his patients and respects their goals and wishes, and will always go the extra mile to deliver the most beautiful results possible. If you are searching for a Plastic Surgeon who can provide you with powerful results from your eyelid surgery coupled with the highest standards of patient safety and care, NW Indiana and Chicago board certified Plastic Surgeon Doctor Jason Petrungaro will be happy to consult with you regarding this revitalizing procedure. 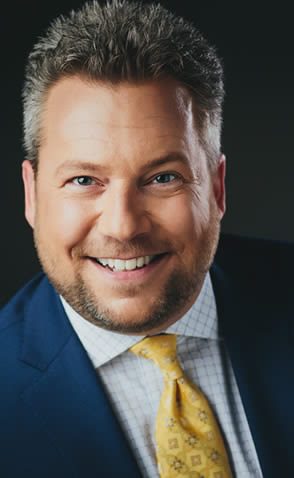 Visit with Doctor Petrungaro in our Munster, IN office for an hour — you will leave knowing you have found the perfect partner in your quest to achieve a youthful, refreshed look! 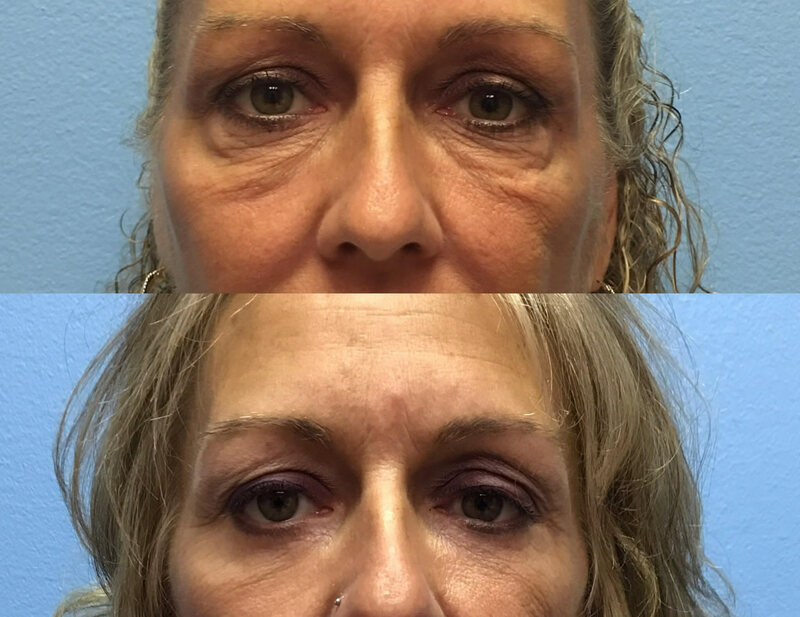 If you are interested in eyelid surgery and have questions or concerns, please feel free to call Doctor Jason Petrungaro at (219) 836-1163 or click to schedule a consultation online. My mom adores him – he took such great care of her and she is his number one fan!